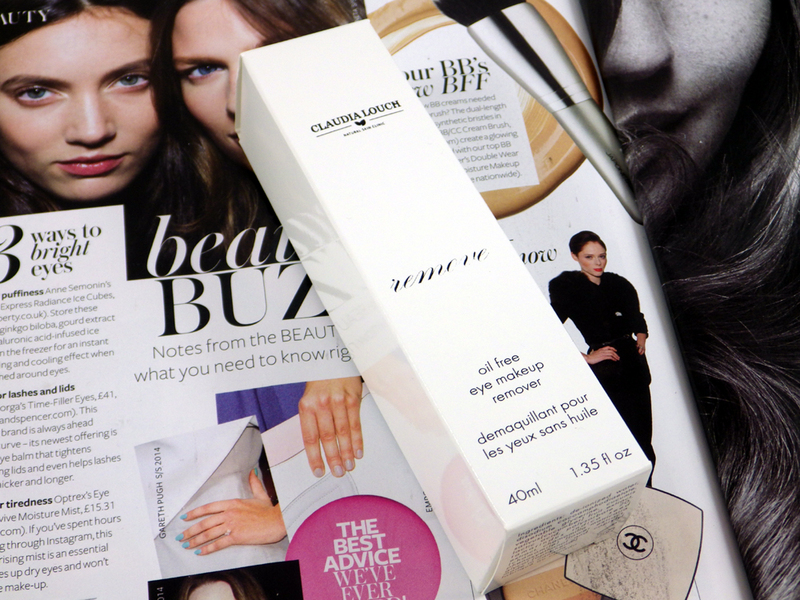 At the moment I'm obsessed with skincare products, especially ones to "take the day off". Sometimes there's nothing more satisfying than getting home and removing all the makeup and dirt that's built up after a long day. One of the products I've been trying out recently is the Claudia Louch Oil-Free Eye Makeup Remover. This eye makeup remover is 94% natural, hypoallergenic, allergy-tested, non-comedogenic and free from fragrance, parabens and SLS. It contains cucumber fruit extract and chamomile flower extract, which work together to soothe the skin whilst effectively removing makeup from the eye when applied to a cotton pad. 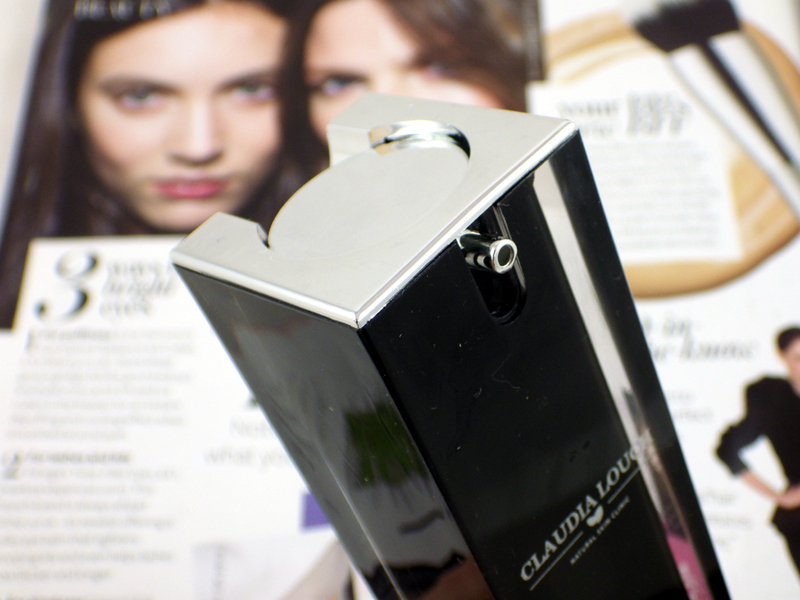 As with all the Claudia Louch products, the Oil-Free Makeup Remover comes beautifully packaged in sleek, black packaging with a silver chrome pump dispenser built into the top of the bottle. The formula of this is extremely gentle and soothing on the skin - it completely refreshes the whole eye area without leaving any oily or greasy residue behind. 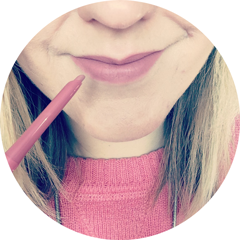 In terms of removing makeup you do have to take your time with this one - with the formula being so gentle it takes awhile to get going - but once it does it works just as well as a micellar water. I do wonder if it would struggle a bit with waterproof mascara, although as I don't own any I unfortunately haven't been able to put this to the test. 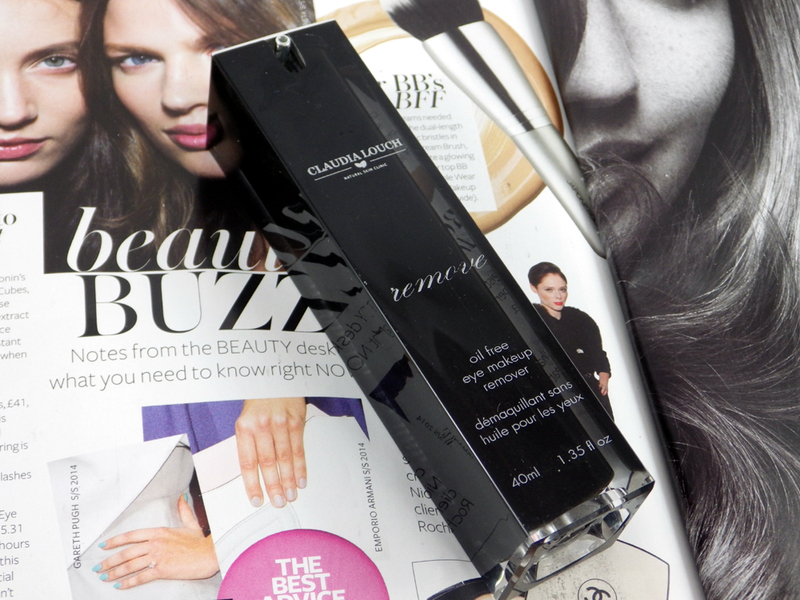 To add the Claudia Louch Oil-Free Makeup Remover to your skincare stash will cost £37.40. I think this is the most expensive one I have come across and although the formula is lovely, unfortunately it doesn't stand out enough for me to splurge and re-purchase once it's empty. However I think this product is catered more to those with very sensitive and easily irritated skintypes (which isn't me) - and I highly recommend it in this instance. To find out more about Claudia Louch and her product range including the Oil-Free Makeup Remover, you can visit her website here. Have you tried any Claudia Louch products? 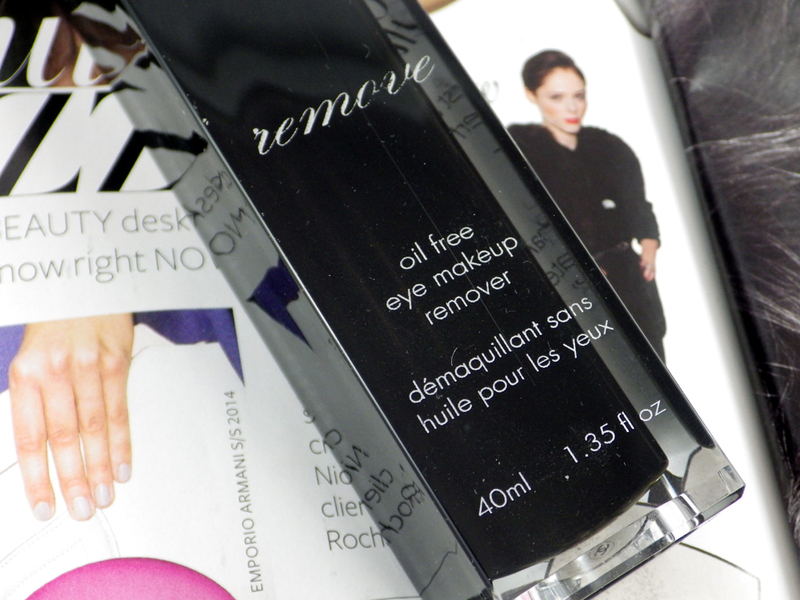 What's your favourite product for removing eye makeup? Such a shame it's so pricey! The packaging is beautiful and sounds pretty good.